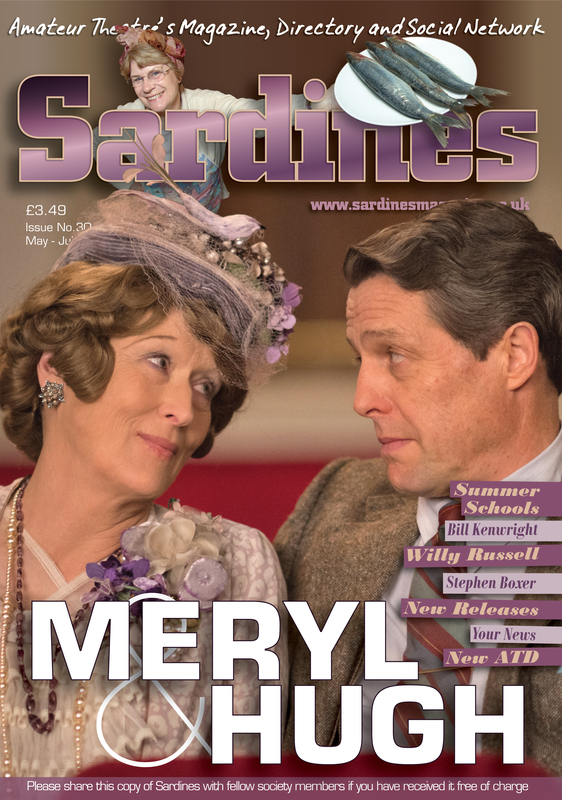 Supporting East Midlands amateur theatre through Sardines Magazine. 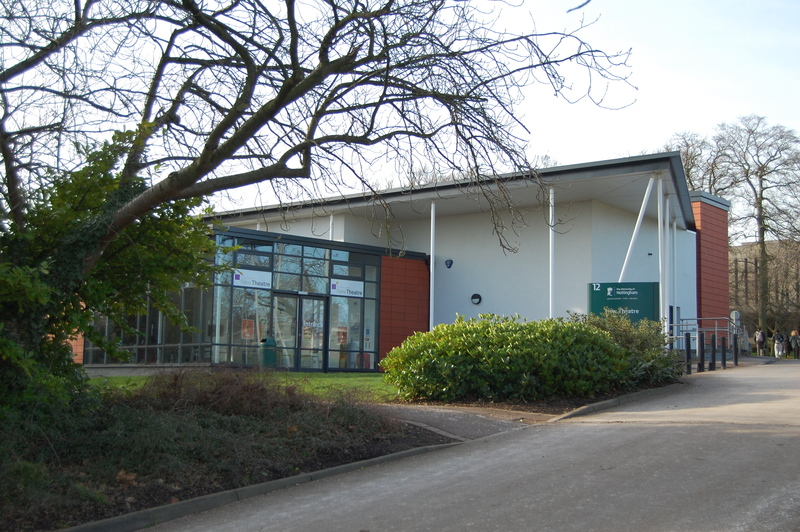 – East Midlands Theatre. 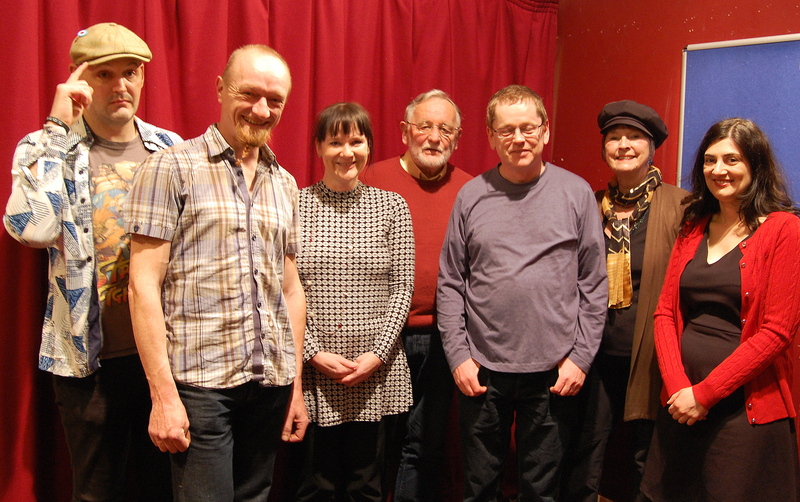 Supporting East Midlands amateur theatre through Sardines Magazine. As well being the passionate founder and reviewer/writer for this website I also write for a quarterly amateur theatre magazine called Sardines. For the last eight issues I have written features and interviews, mainly covering the professional theatre world and its practitioners. However, in issue 30 – illustrated (coming out early May) I have three pieces being published and all of them are about the talented amateurs we have in this region. There is a glossy illustrated piece about a recent amateur production of Cats by Leicestershire based Christchurch Theatre Club. The CTC were delighted to be the first amateurs to be offered a licence to do an adult production. East Midlands Theatre.com reviewed the stunning production itself which can be read HERE. The six page piece in Sardines was written with invaluable input and enthusiasm from publicity officer Craig Butterworth who played Mr Mistoffelees and from the society’s thoroughly researched in depth programme notes. This top notch musical theatre society is certainly one to watch and I look forward to reviewing their Evita next month. Check out this EVITA link if this appeals but don’t leave it too long as their exuberant and very professional shows sell out uber fast! 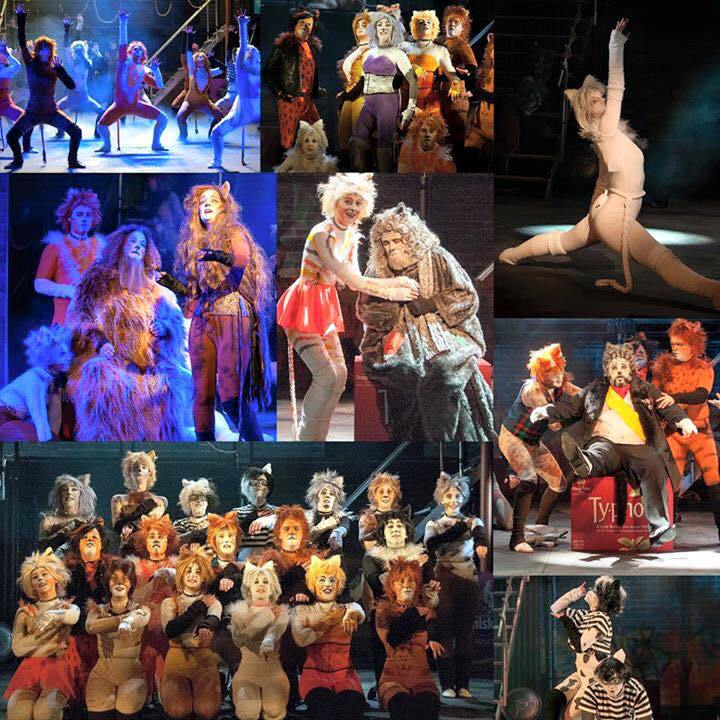 Christchurch Theatre Club’s fantastic production of Cats. 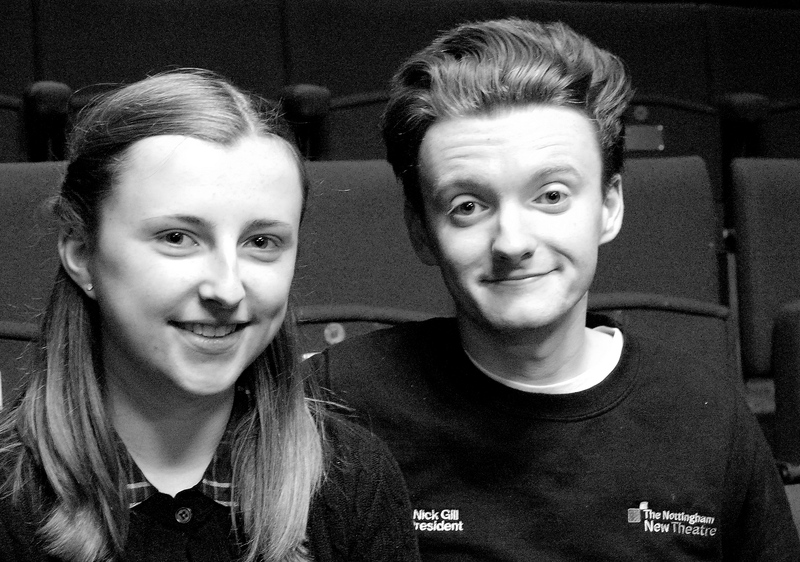 Always looking out to create writing opportunities for myself and my readers, I also got in touch with Laura Jayne Bateman and Nick Gill at Nottingham University where they are treasurer and artistic director at the only entirely student run theatre (Nottingham New Theatre) in England. I knew Laura and Nick from having the real privilege of reviewing a few of NNT most excellent productions. My fascinating interview with them covers the history of the group, the amazing variety of quality plays NNT perform each year and their successes at the Edinburgh Festival and other major drama festivals. 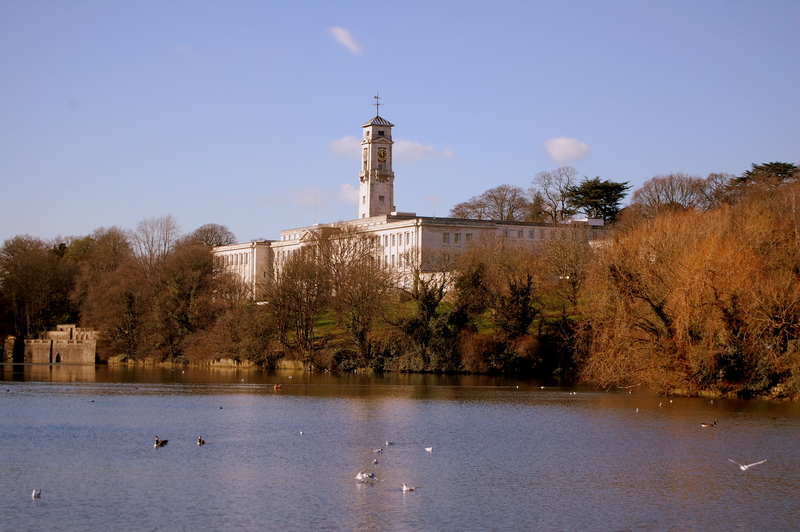 Nottingham University from the lake. 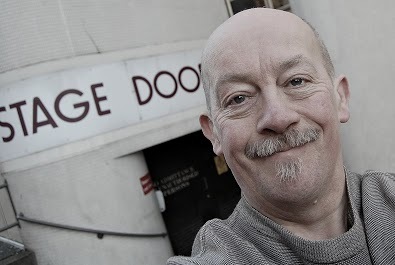 As a newly returned member of Nottingham’s terrific Lace Market Theatre I am also a great advocate of their bi-annual theatre twinning event that takes place in Nottingham and Karlsruhe in Germany. 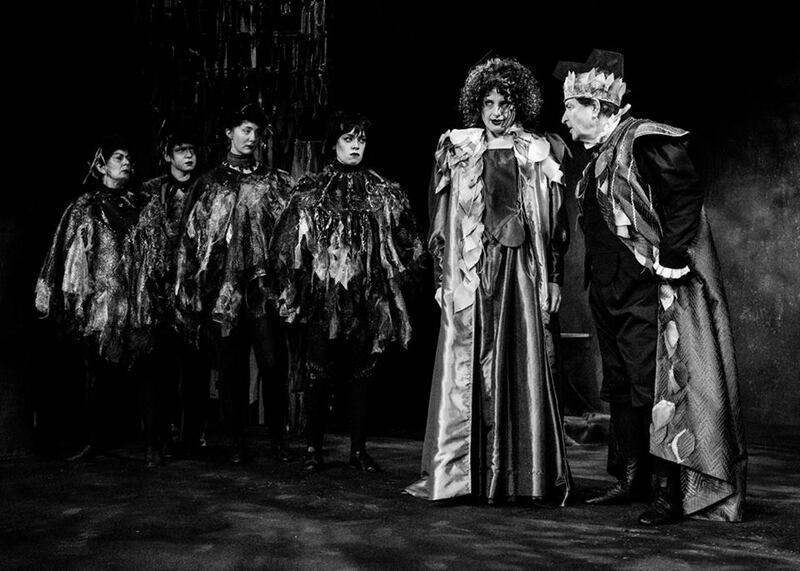 Historically the event has been in existence since 1980 when the members of the LMT took advantage of a twinning opportunity with chances to meet members of Karlsuhe’s Theater Die Käuze and Jakobus Theater and perform abroad. 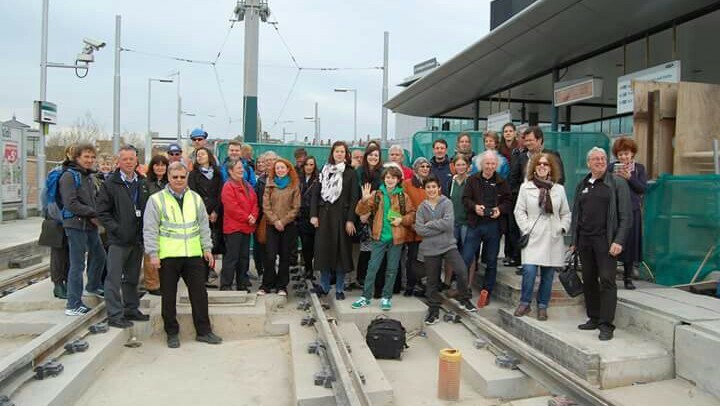 2014 Karlsruhe friendship bridge group with members from all three groups. 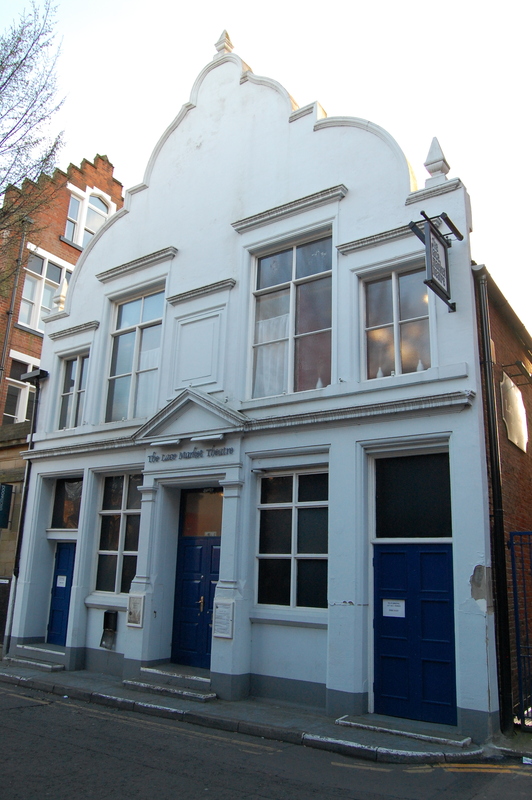 In May this year it is the turn of the Lace Market Theatre to take two plays to the two amateur theatres in Karlsruhe. The plays are A Midsummer Night’s Dream by Shakespeare and Michael Frayn’s Benefactors. The Sardines magazine have an ‘Our News’ section and here I have promoted the visit including comments from directors Jane Herring (AMND) and Marcus Wakely (Benefactors) about their plays and the thrill of taking the productions to Germany. As I write A Midsummer Night’s Dream has enjoyed a near sell out run and great reviews. Lace Market Theatre studio based Benefactors (3rd – 7th May) looks a witty and promising evening at the theatre looking at the crumbling architecture of two politically and culturally diverse couples’ relationships and dodgy majorly high rise building proposals from the pen of master playwright Michael Frayn. Lace Market Theatre’s thrill of taking the productions to Germany. Cast. crew and director of Benefactors. Image from Lace Market Theatre’s A Midsummer Night’s Dream. Photo credit: Mark James. Sardines magazine can be purchased through THIS LINK and they offer a variety of ways of viewing the content (paper edition – downloads – online etc.) and paying for either single copies or subscribing.